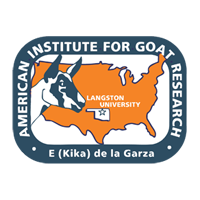 Many factors affect the nutrition of goats while grazing, and their influences can be assessed with an interactive web-based nutrient requirement calculation system to determine the quantity and composition of supplement required for desired levels of performance. Among areas identified as being of special importance to goats in grazing settings are the activity energy cost and lack of methods to predict forage intake. Relatedly, goats can consume diets very different in nutritive value than the average of vegetation available, and there been insufficient research to accurately predict the quality of the actual diet ingested. Equations to project associative effects between feedstuffs have been proposed but not evaluated. Previous nutritional plane can have a substantial effect on energy requirements, with greater fluctuations in the nutritional plane and maintenance energy need during the year for grazing relative to confinement settings. Likewise, based on some findings with sheep, internal parasitism influences both energy and protein requirements, the impact of which may increase as the problem of anthelmintic resistance worsens. There are many plant secondary metabolites consumed by goats in varying quantities that can affect feed intake, digestion, metabolism, and other physiological conditions, with the nature of changes influencing nutritional conditions most limiting to performance. In summary, special attention should be given in future research to conditions affecting nutrition that differ between grazing and confined goats, although factors important to both grazing and confined animals also should be considered.